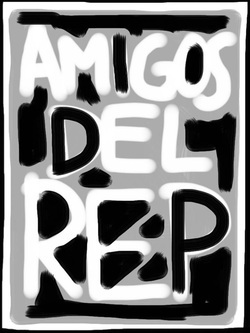 Dave is member, director, producer for The Amigos del REP, Created by Herbert Siguenza of Culture Clash and resident artist at San Diego REP, The Amigos are a volunteer community council to promote Hispanic/Latino/Chicano arts and education at San Diego REPertory Theatre. The Amigos have free staged readings once a month. They also produce surround events for The REP.
Amigos Beatnik Café from Dave Rivas on Vimeo. Club Cafe ~ Candy Silva & The Latin All Stars from Dave Rivas on Vimeo. Club Cafe "August Fire Productions" from Dave Rivas on Vimeo. Club Cafe ~ Los Poetas from Dave Rivas on Vimeo. Club Cafe "Paul Araujo" from Dave Rivas on Vimeo. Club Cafe "Cantua" from Dave Rivas on Vimeo. Club Café ~ Candy Silva & The Latin All Stars Part 2 from Dave Rivas on Vimeo. Club Cafe "Tangocentric Dance Project" from Dave Rivas on Vimeo.